An audit of the California State University system singles out Cal Poly several times over its practices of hiring unnecessary management personnel and increasing their pay, sometimes in violation of state regulations and CSU policy. At the request of the Joint Legislative Audit Committee, the California State Auditor conducted an audit of the CSU system focusing on growth in management personnel, pay raises for executives and oversight and accountability of the system’s budget. Auditors found the addition of management staff and the pay increases they receive outpace the hiring of other CSU employees and the raises they are given. The state auditor concluded stronger oversight is needed for hiring and compensating management personnel. In a letter to the governor and legislative leaders, State Auditor Elaine Howle summarizes the findings in the audit. The first paragraph of Howle’s letter singles out Cal Poly for granting raises to management personnel that were not warranted by current written performance evaluations. Last year, Cal Poly increased the pay of at least 70 management personnel who either had no written performance evaluations on file or who had outdated evaluations on file. The 70 management employees will receive a combined total of more than $175,000 annually in pay increases that are not backed by current written evaluations, according to the state audit. The audit report also notes, between 2007 and 2016, Cal Poly nearly tripled the number of management personnel in the area of student services by adding 23 positions. Cal Poly did not provide adequate justification for the added management staffers, according to the audit. Cal Poly added six management personnel to support the extension of its housing program. But, the university did not provide any evidence that it performed a staffing analysis to demonstrate that all six positions were necessary to support the growth of the program, the audit states. In all, Cal Poly added 83 management positions between 2007 and 2016, increasing the number of its management personnel from 168 to 251. Furthermore, the audit suggests Cal Poly appears to be breaking CSU policy on employee relocation reimbursement benefits. The university only requires that relocation reimbursements be approved by a dean or a vice president. CSU policy, however, requires that campuses establish monetary thresholds for relocation reimbursements, requiring approval from higher levels of authority based on the amount of money allocated. As an example, the CSU guidance suggests requiring presidential approval for relocation reimbursements exceeding $10,000. When Cal Poly President Jeffrey Armstrong arrived in San Luis Obispo, he was reimbursed a total of $49,626 for relocating to the Central Coast, according to the audit. 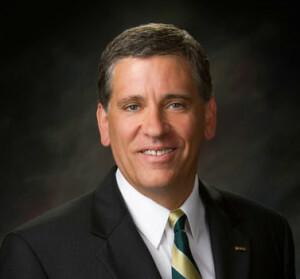 As university president, Armstrong receives more than $450,000 a year in total pay and benefits. In recent years, Cal Poly’s faculty union has protested the pay discrepancy between administrators and teachers. CSU faculty statewide threatened to go on strike prior to agreeing to a 10.5 percent pay increase last April. Nothing new, this is the norm. And so what, guessing all the administrators will keep their current salaries….performance evaluations good or bad the process is laughable. I am not surprised at this total lack of financial accountability at Cal Poly. What else could be expected from a place ran by an egotistical person such as Mr. Armstrong. Wonder how many highly-paid managers got reviewed and got raises for NOT doing their job (failing to review their own people). This type of behavior would never be tolerated in the real world, but in Jeff’s world – it is perfectly OK. So it is even now more understandably why the cost of higher education has more than quadrupled since I went to college, and will continue to rise. All for the sake of building an overstaffed organization that is beholding to him. He ought to be so ashamed, but I bet he is not. And the only thing that will come from this will a further increase in tuition. Considering the state of the state, what with the mental illness, violence, sexual perversion, child abuse, corruption, and out of control social programs….shut the university down and spend the money more effectively. Nothing will happen as usual in government wasting our money. It’s easy to fix and balance the books, just raise the tuition and management will be happy. After raising the tuition and working the books over a bit the budget will look great. Because of that they certainly will deserve another raise for their good deeds. Whaaat, somebody disapproves of hiring unnecessary management personnel and continually raising their pay. That’s the government standard operating procedure. Cal Poly has been running a business more than a University for many years. You would be surprised at the titles of these managers, There who job is to run the campus and solicit funds from big business, philanthropist, alumni, etc, They have to do this since Armstrong gets part of his salary from the Foundation which has millions! This is true. The only reason “The Foundation” exists is to hide the shady finances of the admin. Being a public institution, you can check the books of Cal Poly. The finances of the admin remain hidden. The question you need to ask yourself is where does the foundation get its money from. Not worth getting into, but they’ve essentially created a monopoly for themselves in their campus rules of business. Two examples… no one is allowed to sell food on campus (such as from club events) unless they buy the food through the foundation. I’m not allowed to print course notes to be used in courses unless I have them printed through Foundation organizations. It get much worse. I have been complaining about Armstrong’s mismanagement for years. I feel vindicated, if only something would happen has a result of this, but I doubt it. Thank you for reporting. You’re 100% correct. These people make the rules; they make sure there are no penalties for breaking the rules. Only the faculty get slammed for breaking rules. Better clarify that: only the faculty that the admin does not like get slammed for breaking rules.